I've written about Animation Paper previously when I heard the original (and free) Plastic Animation Paper (PAP) was finally going to get a major overhaul with a new modern user interface and more features. Now you can help make that happen by donating to the developers Indiegogo funding campaign. If you're not familiar with Animation Paper or PAP go read my two previous articles. In a nutshell, despite the terrible User Interface, Plastic Animation Paper is still one of the best tools available for creating hand drawn animation using tablet input such as a WACOM tablet. Watch the campaign's introductory video below then visit the campaign page for two more videos explaining what features are being included and how your money will be used. Currently the developers are focused on producing a native MAC version of the software but there will be a native Windows version developed shortly after that. If you are a Windows user then there's a special perk you can get for a $20.00 donation that will get you a $20.00 discount when the Windows version becomes available. In the meantime PAP is still free and still Windows only, so let's not begrudge MAC users a native version of Animation Paper. The original PAP is still great software to tide you over until that upgrade. Animation Paper's funding campaign has a fairly big goal figure of $175,000 - good software costs money. After a couple of days they've raised close to $12,000. If you can't donate then at least spread the word around all your social networks... especially if you have friends who love hand drawn animation and want to see more of it. 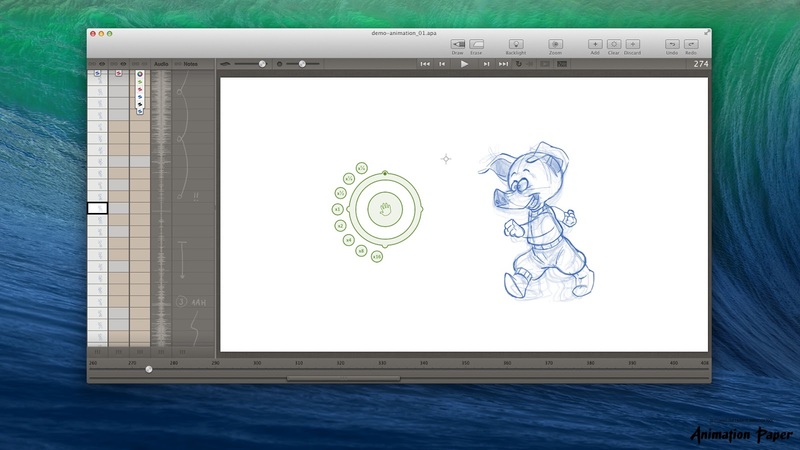 Animation Paper is expected to retail for just US$79.00 when released which means it'll be affordable to just about everyone of any skill level - you can't say that about quite a lot of the animation software tools around today. Plastic Animation Paper is still one of the best tools available for creating hand drawn animation using tablet input such as a WACOM tablet. its really very nice.